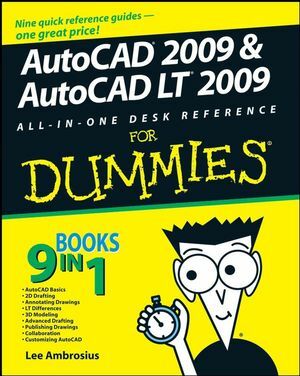 AutoCAD 2009 is shipping with a new in-the-box item referred to as "Cue Cards". Cue Cards provide information about new features that ship with the product and they come in two different versions: hardcopy and electronic. The hardcopy version of a Cue Card is about the same size as a 5x7 picture, while the electronic version can be viewed by opening the file acad_cue_cards.pdf in Adobe Acrobat Reader or another viewer that allows you to view PDF files. 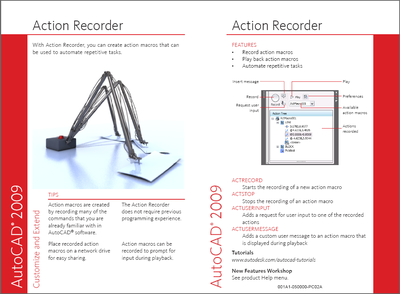 If you want additional hardcopies of the Cue Cards, you can order additional sets by going to autodeskdocandmedia.com/. Press F1 while in AutoCAD. 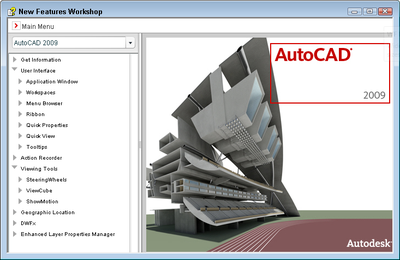 In the AutoCAD 2009 Help window, on the right pane, click the New Features Workshop link under the General Information section. If prompted with a message box to click Yes or No, click Yes. The message warns you that the ActiveX control might be unsafe. The ActiveX control that is trying to be displayed on the page for the NFW is Adobe's Flash plug-in. Clicking No will cause the NFW to not launch. 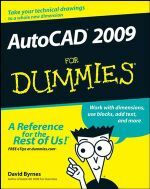 If you do not have AutoCAD 2009 installed yet, it's a little hard to access the NFW from inside of AutoCAD. If you do not have access to the NFW because AutoCAD is not installed, you can view the web based version on autodesk.com by clicking the following URL and then clicking on the New Features Workshop link. Tutorials - Whenever a new feature is introduced, you often don't have time to explore the feature right away or fully understand how you might go about using a new feature. Tutorials can help explain how to use a feature in a step-by-step approach. 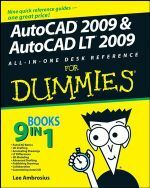 There are currently 19 tutorials on autodesk.com that apply to AutoCAD 2009. These tutorials cover many of the new features that have been introduced with this release, such as the ribbon, ViewCube, SteeringWheels, Action Recorder and many others. 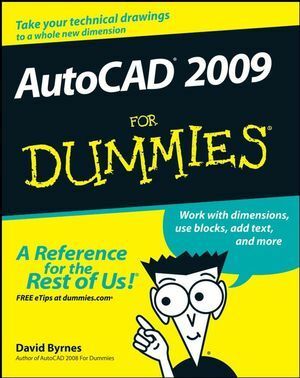 To access the tutorial site, click the following URL (you do not need AutoCAD 2009 to view the tutorials but will need AutoCAD 2009 to complete them though).